With the SPDR Gold Trust (NYSEMKT:GLD) on the cusp of seeing the worst month of cash outflows since it began trading, central banks have increased their purchases of gold bullion. This mirrors the action of individual investors who bought so many one-tenth-ounce gold coins that the U.S. Mint suspended sales until its inventory can be replenished. The question for investors, of course, is whether the spike in demand in physical gold is indicative of a new push higher for the commodity or if gold’s recent weakness is justified. Earlier this month, the price of gold collapsed by roughly $200 in two days. The decline included the worst single-day dollar drop ever and the worst percentage drop since 1980. The skid prompted near jubilation for those who have been waiting for the exterminator to hit the gold bugs for the last 12 years. The reversal in gold prices we have seen since are letting those same gold bugs fire back with a vengeance. The apparent shift from paper gold (including longer-term futures and gold ETFs) to physical gold (including bullion and spot contracts) has several possible explanations. The head of commodities research at UBS AG’s wealth management division, Dominic Schneider, said: “Some of the central banks might take this drop as an opportunity to buy as some physical players did. The ETF selling, which is likely to continue in the short term, just caps the price.” This demand for physical gold has not only stopped the slide in gold price, but helped the yellow metal to recover a portion of the losses experienced earlier in the month. The International Monetary Fund (IMF) reports that Russian reserves have expanded for six straight months, and spot prices on the Shanghai Gold Exchange have firmed. Additionally, volume on the exchange has been significantly higher. Since April 16, daily volume has been more than four times the daily average from a year earlier. In a statement released by the U.S. Mint, the level of demand is obvious: “demand for the one-tenth ounce coins has remained strong too, with year-to-date demand for these coins up over 118 percent compared to the same period last year. Accordingly, the United States Mint has temporarily suspended sales of its one-tenth ounce gold bullion coins while inventories can be replenished.” The Mint has not suspended sales of gold-based products since late 2009. The precipitous drop in gold prices had some significant but contained causes that do not appear to have affected the longer-term fundamentals of gold. The crisis in Cyprus, which required that country to liquidate gold reserves, and heavy selling by a few institutional players were largely behind the plunge. The general weakness in Europe, leading to a strengthening U.S. dollar, was also a major factor, but none of these issues are necessarily permanent. At pivot points, gold prices can be highly volatile, but this is often where the greatest opportunities exist. The shift to physical gold is an important one because, while the “gold market” is fairly large, there are limited quantities of bullion. This is one of the reasons that miners like Barrick Gold Corporation (NYSE:ABX) and Kinross Gold Corporation (NYSE:KGC) have also rebounded somewhat. 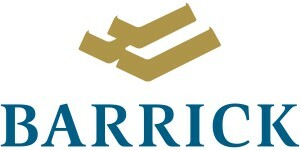 Since the slide, Barrick Gold Corporation (NYSE:ABX) is up over 9% and Kinross is up over 13%. In that same period, the GLD is up less than 6%.